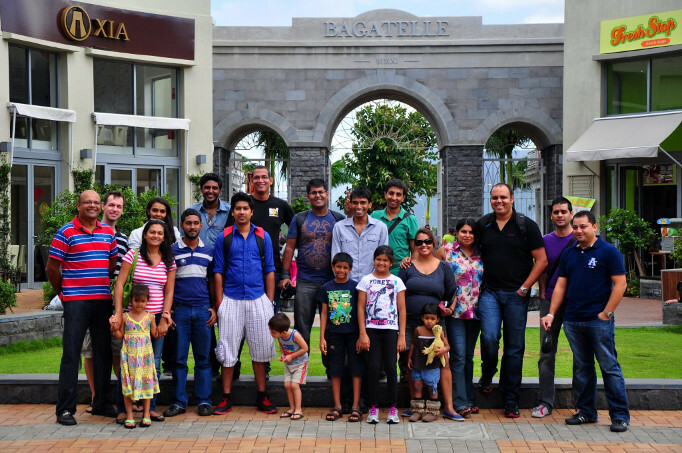 Through social media networks, especially Facebook, I got aware of the fact that there would be a gathering of Mauritian Bloggers. What a cool idea! Interestingly, it wasn't the first meet-up and if I'm correctly informed there had been meetings like this one since 2009. At a time, I was already on this beautiful island, and others knew that I was blogging. Well, there had been quite some rain lately, and honestly I don't want to dig up rotten corpse from the dead. Initially, I discovered the Facebook event through a comment or Like by a connected friend, as I wasn't part of the organising group 'Mauritian Bloggers' but luckily the event was open to anyone and I could follow the organisers and the comments. Taking into consideration that most Mauritians have Android-based smartphones, and that there are quite a number of technical blogs around I couldn't get it. But hey, I hope that I ignited something and the situation is going to change very quickly soon. "Gonna install it as soon I reach home"
"waiting for the activation code too. I'm gonna hack your portals." First responses on Facebook look very promising and it would be awesome to have more action play in Ingress soon. It would be of great pleasure to write one of the first SITREPs for Mauritius. For sure, more to come. Keep an eye on my Android section here in the blog, too. This was definitely not my last attendance and I'm looking forward to the next event of Mauritian Bloggers! And a 'Big Thank You' to the organisers, too!